It is important to have clarity within your organisation with regard to the policies that are applicable to all that work within the business sometimes including contract workers. Having good robust policies in place sets the standards of behaviour and performance that is expected as part of the relationship with the company. It sets the culture, it informs its employees on how the company sees them and how important they are considered to be. Most policies and procedures are collated into a company handbook. This handbook serves as a reference document for employees and management staff that have to apply the policies to their own teams. Handbooks and policies also help to maintain best practice when dealing with people issues, they also serve to keep you on the right side of the legal framework helping to avoid expensive litigation issues. Handbooks should be relevant to the business and the size of the organisation. They should be reviewed at least annually to ensure they are still fit for purpose but also still legally compliant and accommodate changes to employment laws. Many people download ‘templates’ online and try to modify them for use within their business. This can be very time consuming and the end result is not necessarily suitable for the business. It will also soon become ‘outdated’ as employment law changes and requires annual reviews and modifications. We believe it is important to work closely with you, understand your business and your requirements so we can ensure you have common and specific policies in place for you to effectively people manage your business. 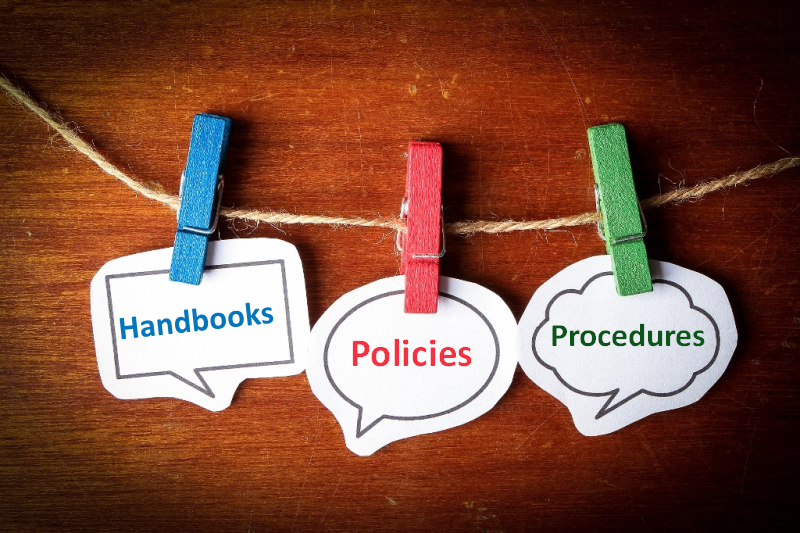 We can then review your handbook and policies and provide you with updated versions ensuring you maintain legal compliance whilst have documents that fit your needs and are not generic downloads from other Organisations providing HR support as part of their business support. Let us take away the worry of putting one together for you; we can ensure it is what fits for you and let you get on with focusing your attentions to your business.